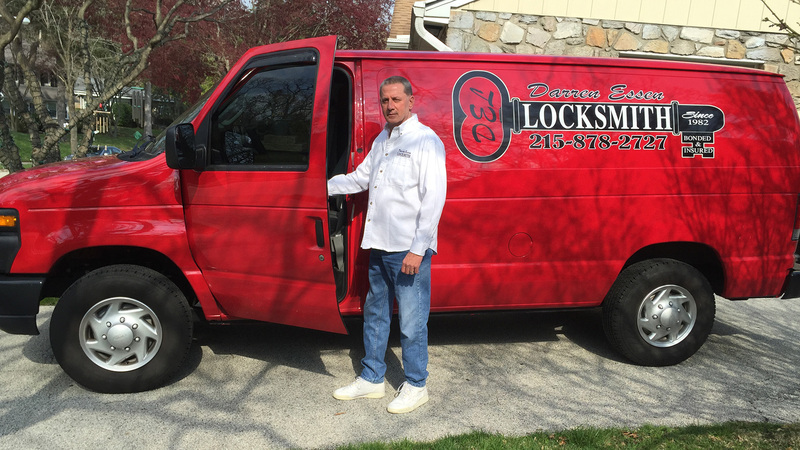 Locally owned and operated, since 1982 Darren Essen Locksmith is one of the areas longest running mobile locksmith services and provides experienced and dependable locksmith and security services for residential or commercial clients in Lower Merion Township. Whether you are locked out of your car or home and need replacement keys, or looking for technologically advanced lock system solutions for your commercial property, trust Darren Essen Locksmith to provide maximum security at competitive rates. At some point or another, most of us have accidentally locked ourselves out of our cars or homes. Darren Essen Locksmith offers round the clock emergency services when you have a problem with a lock in Lower Merion Township. Whether you need quick key replacement or have been the victim of vandalism or theft, our certified and bonded locksmiths are available anytime to replace your locks and keys and restore your peace of mind. We have the customized security solutions you are looking for to protect your personal property. For the installation or upgrade of your existing deadbolts and lock sets, to state of the art keyless entry systems, consult with our experts for a wide range of residential security options and quality products. Darren Essen provides emergency unlock services for your vehicle anywhere in Lower Merion Township. When you’re locked out of your car and need help fast, call Darren Essen Locksmith for immediate assistance at (215) 878-2727.
Business owners know that solid security is vitally important to the safety of any organization. Protect your commercial property with the services of one of the leading locksmith and security experts in Lower Merion Township. Darren Essen Locksmith will assess any potential problems. Darren Essen Locksmith vehicles are equipped with the latest technology and operated by licensed and insured professionals. All information provided is provided for information purposes only and does not constitute a legal contract between Darren Essen Locksmith and any person or entity unless otherwise specified. Information is subject to change without prior notice. Although every reasonable effort is made to present current and accurate information, LinkNow™ Media makes no guarantees of any kind.